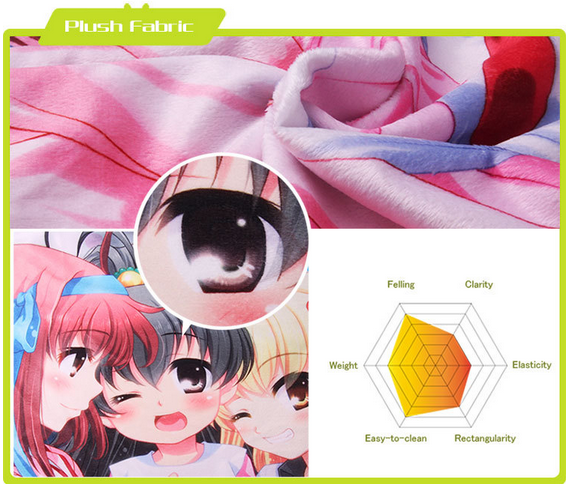 Pattern Anime,Cartoon,Comic.Custom design,Photos,Any kinds of picture. If you want print one character of your favorite anime but do not have that picture,let us know we would find in our photo gallery for you,we have thousands of Japanese anime pictures. Price please send your inquire including customized details: pillowcase fabric,size,quantity,print how many sides,delivery address,mail address......will quote and reply you asap. Delivery DHL,Fedex,UPS,TNT EMS and others . 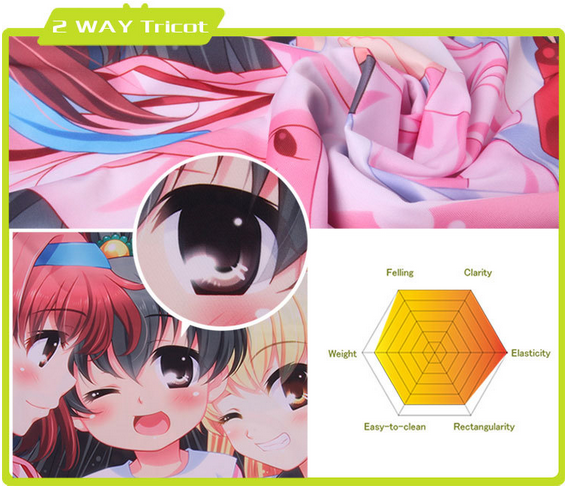 All our dakimakura covers can support machine wash. DO NOT use chlorine or bleach during wash.
Light~medium wash and iron at low temperature. Wash separately from other items to prevent color transfer. Don’t leave it in a wet state after washing. Wring it dry. Avoid spin-dry and avoid using a dryer to tumble dry. 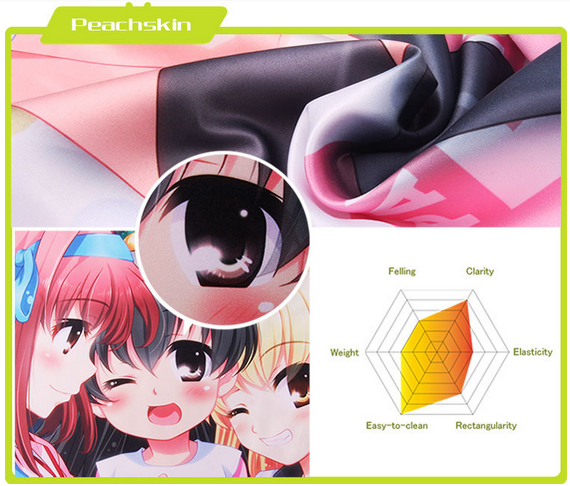 Recommend: To provide best protection for your dakimakura, you are recommend to hand wash it. Below is the step by step washing guideline. 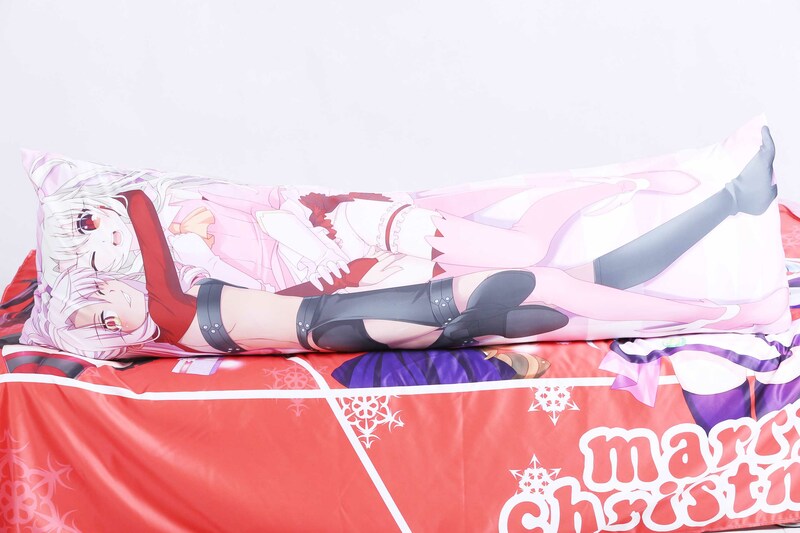 1.Remove the dakimakura cover from pillow body. 2.Fill the wash basin/sink/tub with COLD water, dump in the detergent. 4.Let it soak for about 20 minutes. 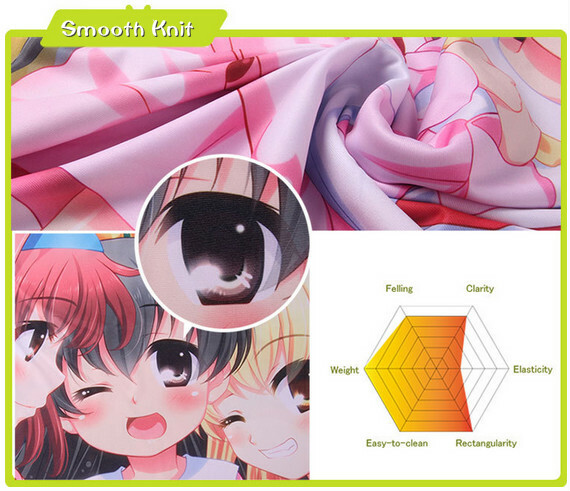 5.Dump the water, rinse the dakimakura well and wring it dry as best you can. 6.Hang it up to dry for 8-12 hours. 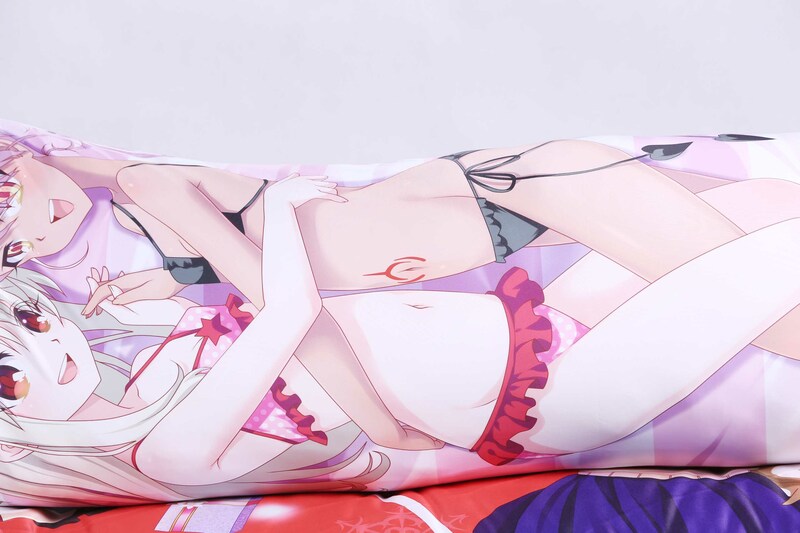 7.Your dakimakura should now be clean! Enjoy! LKANIME(HK) LIMITED is focus on Researching & Developing and sale for anime products from 2008 year.Most of our products have been exported to USA,Canada,Japan,Korea,Thailand,France,UK,Germany,Russia and other countries,we supply variety high quality products with competitive price, and around long time export experience enable us provide professional and excellent service.